The design of the Jolie – the smallest and quietest Lavazza A Modo Mio model – is all Italian. Cheerful and colourful, it adapts perfectly to every style, giving a touch of vivacity to décor and intense and deep pleasure to the palate. All the flavour and goodness of an authentic Italian espresso within a super-compact design, the Jolie espresso machine from Lavazza prepares that much-needed morning coffee almost silently, while you get ready for the day ahead in peace. 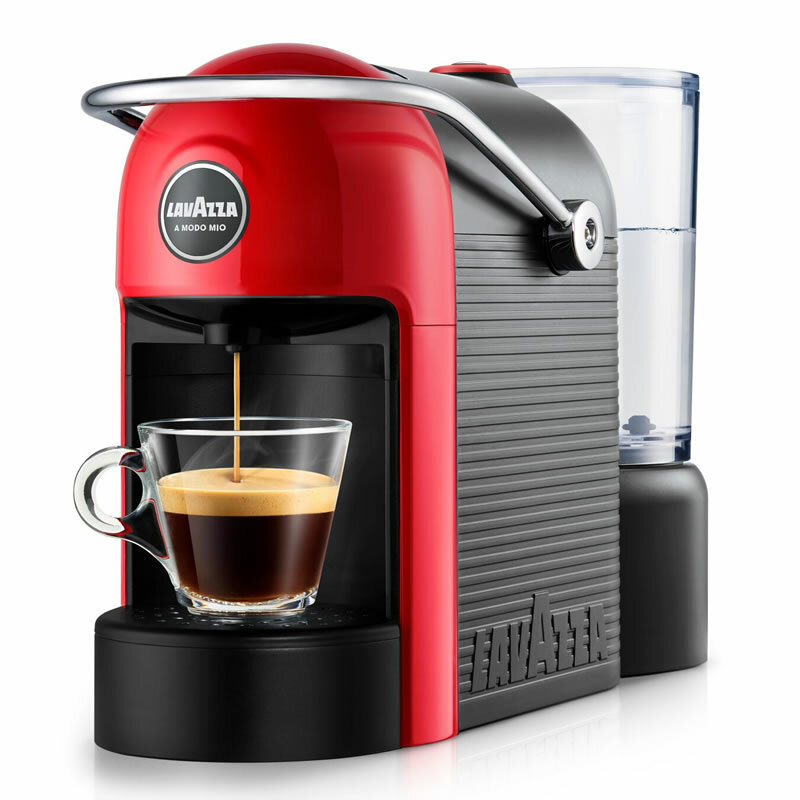 Using 15-bar pressure, this modern machine extracts a perfect crema-topped single or double espresso from one of Lavazza’s own capsules at the push of a single button. The Jolie also comes equipped with a 600ml water tank, drip tray and auto-off function, and all the removable parts are dishwasher safe for a quick and easy clean-up.